The B988 is a modern take on the classic Chesterfield design. 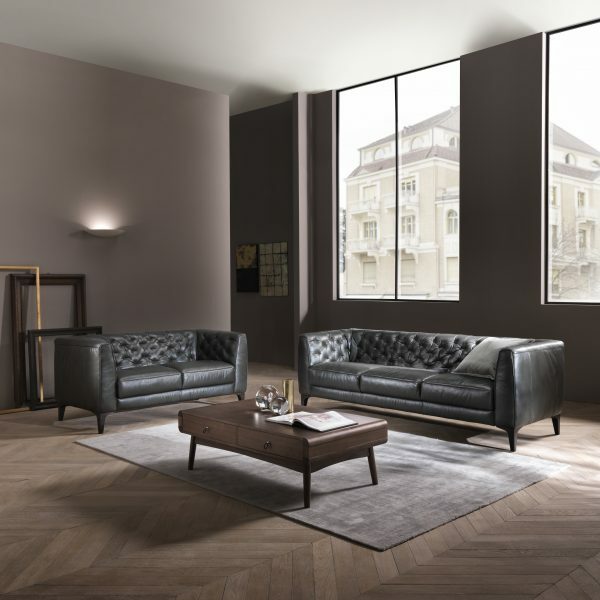 The modified arm makes the sofa more compact than the traditional Chesterfield and brings this design a contemporary feel. The B988 can be covered in leather or soft cover and has a wooden leg in either Wengé or Walnut color.